It’s funny how, when people ask me who my favorite singer/band is, I almost never answer David Bowie (I usually say Radiohead, Nine Inch Nails or Explosions in the Sky, depending on who I’m talking to). Yet, a day rarely goes by without me listening to at least one of his songs. To give you an idea, I have about 7,000 songs in my music library, and 866 of these are from David Bowie, and as I often listen to music on shuffle, you can imagine, he does pop up quite a bit in my playlist (I don’t think he has made that many songs, some of those tracks are remixes, different editions of the same song, and such). I think I have pretty much all of his music.. Well, except Blackstar at the moment. I meant to buy it last week-end, I forgot, and now it’s sold out in Japan (at least on the Japanese amazon, I haven’t had time to go to a physical store yet). Yes, I still buy CDs. Partly because I’m a bit old school (and my car is old enough to still have a CD player in it), partly because I like to have hard copies of things that are on my computer, especially music, so why not having the real CD instead of burning one? So, yes, he’s such an integral part of my music life that, all in all, I don’t think of him as a “favorite musician.” In a sense, he’s way above that. On Monday, just like everyone else, I learned the news… Of course, it shocked me and yet, it didn’t. I assumed that since his heart attack, 12 or so years ago, his health had been a bit frail. His previous album, The Next Day, sometimes had vibes of the approaching end (at the time, I took it as the end of his career, that he was about to retire, he kinda had already). 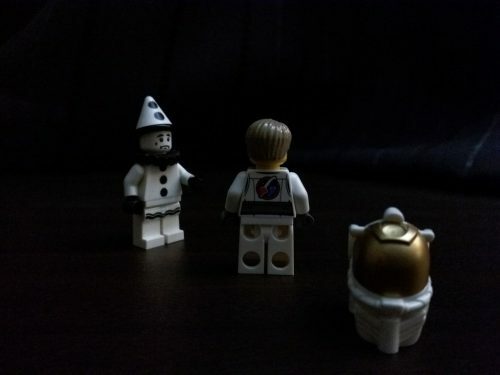 I found him incredibly thin on the picture that was released along with Blackstar last Friday. And yet, he’s David Bowie, he’s immortal, isn’t it? Well, his human body isn’t, it’s made of the same things as everyone else’s of course. I’m still a bit in the denial phase. I don’t really remember the first time I heard one of his songs, or even heard of him. It’s as if, he’s really always been in my life. For example, I remember very clearly the very first time I heard Queen. It was when Bicycle Race was released as a single, by the end of 1978, I was five years old. The band never really left me since. That’s interesting, because that “knowledge” definitely doesn’t come from my parents. My mom has never really listened to any music at all, and the only interesting music that I have ever heard my dad mention is the Beatles, and he must have listened to them before my birth, as I don’t remember him ever actually listening to them. Yep, I wish I had been named after David Bowie, but I wasn’t, unfortunately. Collecting my memories from the 70’s, I remember that the music that played on TV and on the radio at the time was indeed much more interesting than nowadays. Also, one of my cousins could have played a part? I have three cousins who are 15-20 years older than me and who I adored as a little kid (I still do adore them), one of them introduced me to English-speaking music, although at the time she was mostly listening to disco, so even though I know the Bee Gees because of her, I’m not too sure whether or not she may have introduced me to Bowie? In the late 70’s – early 80’s, I also remember a supervisor at “summer camp” who was a huge Bowie fan (she even had the red hairdo) and I remember her talking about him in length. She also must have had an influence on me, never before I had met someone so passionate about music and I know that the name David Bowie became familiar to me partly thanks to her. One thing I remember very well is the first time I saw the Ashes to Ashes video. That is, I think, my first clear cut memory of David Bowie. As a 7 years old, I must admit that I did find the video a bit disturbing, but the music totally captivated me, and I think that’s the moment I realized that there was this guy singing those amazing songs, and I slowly started to connect the dots with all the other songs previously mentioned. After that, the other big milestone is simply Let’s Dance, which is pretty much the moment David Bowie became mainstream, at least in France. And alongside with it, Merry Christmas Mr. Lawrence (I really only saw it on TV a few years later, and while I haven’t watched it many times, it is one of those great movies that don’t get the recognition they deserve, and not only because of David Bowie). I should also mention Under Pressure, but truth is that I realized only years later that Bowie was co-singing it. To make up for it, I do listen to that song several times a week, if only because it’s on the only decent CDs at work. (and on a side note, if you’ve never seen or heard this version of the song, you’re missing something). In the 80’s, Bowie rhymed with China Girl, Modern Love, This is not America, Absolute Beginners, and the movie Labyrinth. The 80’s is also the decade when I became a teenager, and of all the celebrities around me, David Bowie really became the example of “the perfect guy” the one I would aspire to become, but couldn’t because he was too cool and too perfect, or something like that. I was far from a being a cool kid in school, quite on the nerdy side actually, but Bowie was who I wanted to become if given the choice. Not really a role model, I know from the start that I could never ever become that guy, so I didn’t even try. He was some sort of unattainable dream. I don’t know if that makes sense. To give you an example, there was this kid that I had known since forever (our moms worked together) who was a bit older than me and who was the closest thing to Bowie in coolness I knew. When we were teenagers, he just didn’t care about me (we weren’t friends, we just knew each other), just as it was supposed to be. However, in the early 90’s, we had a summer job together and we became friends (we didn’t keep in touch afterwards, that’s actually one of the last times I saw him). It’s kinda the moment when I stopped being that nerdy kid and became “cool” (or at least “cooler”). Not really, it was a years long process, but in my mind, it was the shifting point; if I could be friends with him, the “incarnation of Bowie,” and he would treat me as his equal, maybe I wasn’t that nerdy after all. The 90’s start with the Tin Machine experiment. It’s also the moment when I strayed a little bit from Bowie. The early 90’s really is the moment when I started to listen to music, a lot, and at that moment Bowie was a bit too 80’s and mainstream for me I guess. But even then, I loved Jump, they Say. And then 1995, Outside and his collaboration with Nine Inch Nails happened. I had discovered the band just one year before, but it instantly became one of my favorite bands, and it still is more than 20 years later, and I was simply amazed that David Bowie would work with them. This is the moment when I started to consciously care about his music, past and present (all those songs from the 70’s that I had known forever, but never actually paid that close attention to). It’s also the time when I started to consider Bowie, not in terms of songs, but in terms of albums. However, from Outside, I still need to mention the Hearts Filthy Lessons (along with the movie Seven) – that song really blew me away, Hallo Spaceboy, I’m Deranged (and I cannot not mention Lost Highway, probably my favorite David Lynch movie), Strangers when we meet. Next comes Earthling, the first album I bought from him, and I really can’t isolate one song, I always consider it as a whole, maybe because I listened to it so many times. I also kinda bundle Hours, Heathen and Reality together. Probably became they came out one right after the other and while I like them all, there aren’t many big stand out songs in my opinion. Also probably because these albums were released at a time when I used to listen to – and consider – whole albums as one musical unit. He returned with a bang three years ago, The Next Day is one amazing album, and the Stars (are out tonight) one of my recent favorite songs. As I mentioned earlier, I haven’t listened to Blackstar (the album) yet, only to Blackstar (the song) and Lazarus, and man, they’re such amazing songs. I’m really getting impatient to listen to the rest (I started writing this post a few days ago, but I finally bought the album earlier today). I think that’s all really. A retrospective/anthology of my relationship with David Bowie or at least his music, to help you know him better if you need to. 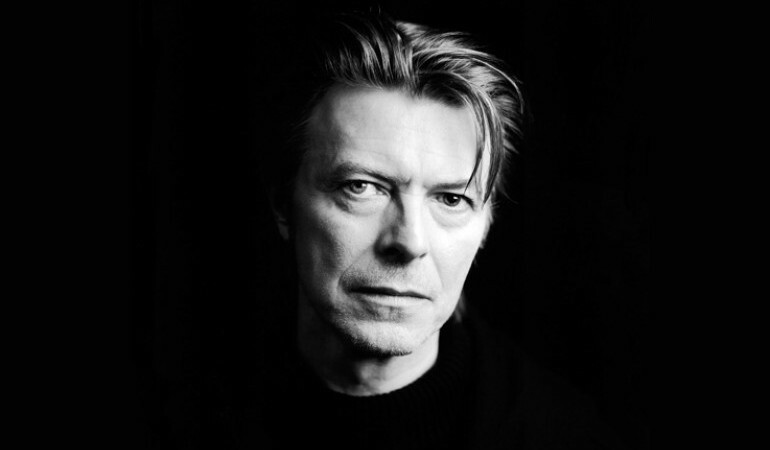 Yes, farewell Mr. Bowie and I’ll never thank you enough for all what you brought to me and to the world. Incredible artist! I had the pleasure of seeing him perform live in the late 90’s. I was amazed how many songs he had done that I only realized just then were his. RIP David Bowie. Lucky you… I never got the chance to see him play, and that saddens me greatly. And I see what you mean, all the songs I mention from the 70’s, the only I’ve always known, some of them I realized only in the 90’s that they were his. You don’t need to speak a language to listen to music in that language (I’ve listening to English speaking music well before I knew a single word of English (did I mention Bicycle Race? 😉 ). On the other hand, I have no idea who Iz Kamakawiwoʻole is. Thanks… I think I’ve heard that song before… I mean his version of course.